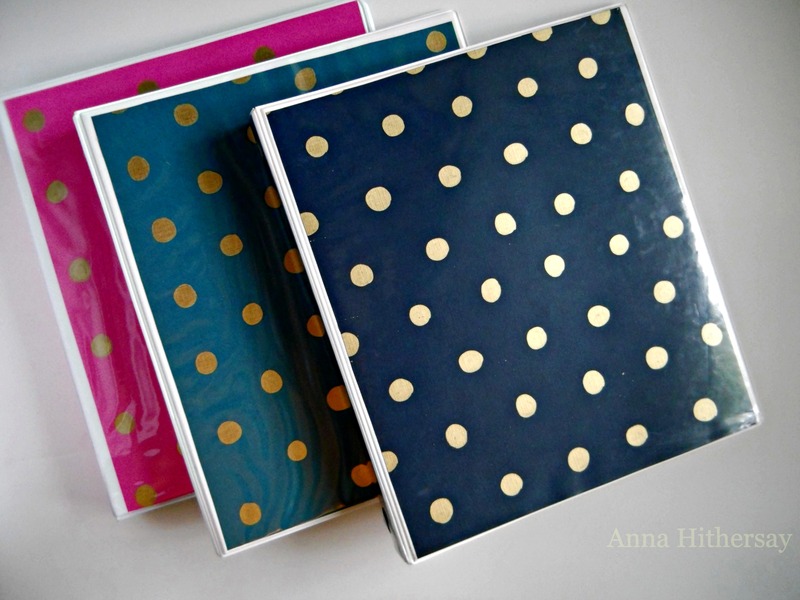 The other day while perusing the Target merchandise, I fell madly in love with these gold polka-dot binders. I do have a legitimate use for them. My recent purchases of some e-books need a home and the more I like the binder really will affect my use of them. But I did not need to be spending $6.00 (times 3 or more) on a new binder when I have a dozen white plastic ones leftover from grad school sitting in my closet at home. I couldn’t get the binders out of my head and almost went back to get them, but it suddenly occurred to me that I could make a similar version using my old white ones, some scrapbook paper, and a paint pen. 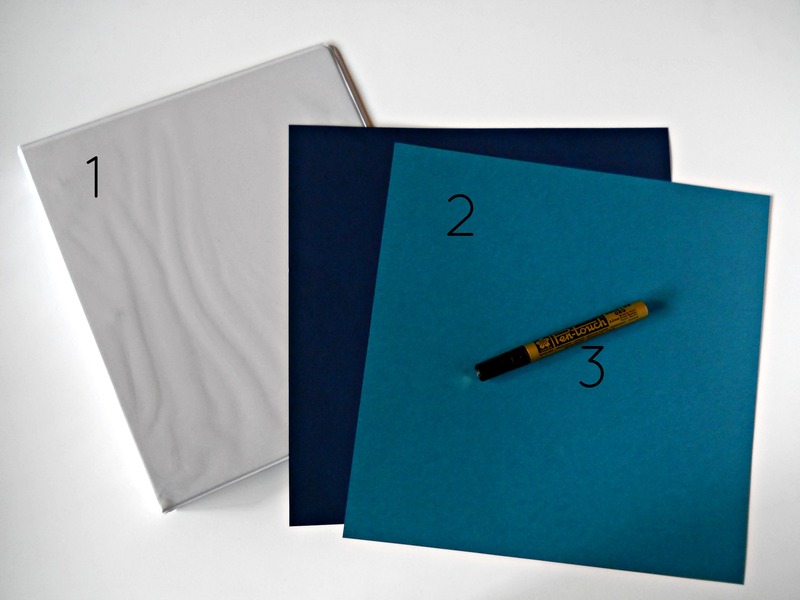 I bought 2 pieces of each color of scrapbook paper – navy, teal, and hot pink – and a gold paint pen. I made sure it was legitimately metallic gold as some of those gold pens are very dull. One night while we were watching a movie I got out my supplies and started polka-dotting my paper. I didn’t use a grid, but if you’re not sure you can keep the grid even you might want to. 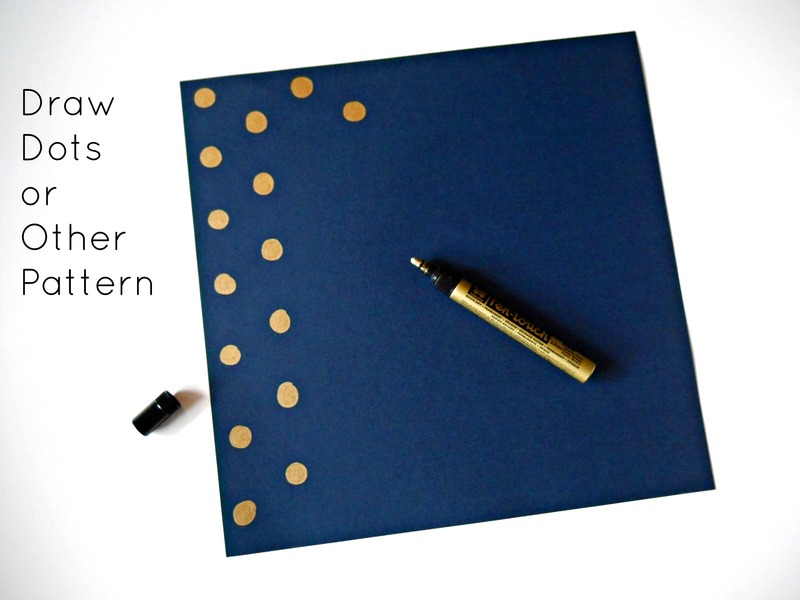 If it’s important to you to have perfect circles you might consider getting a circle stamp and gold ink pad. I personally like the look of free-hand circles. Perfectly imperfect! After I finished the grids I measured and cut the paper to size. For my binders that was 9.5″ x 11.25″ plus a 1″ x “11.25” for the spine. I slid the papers in and oilá! 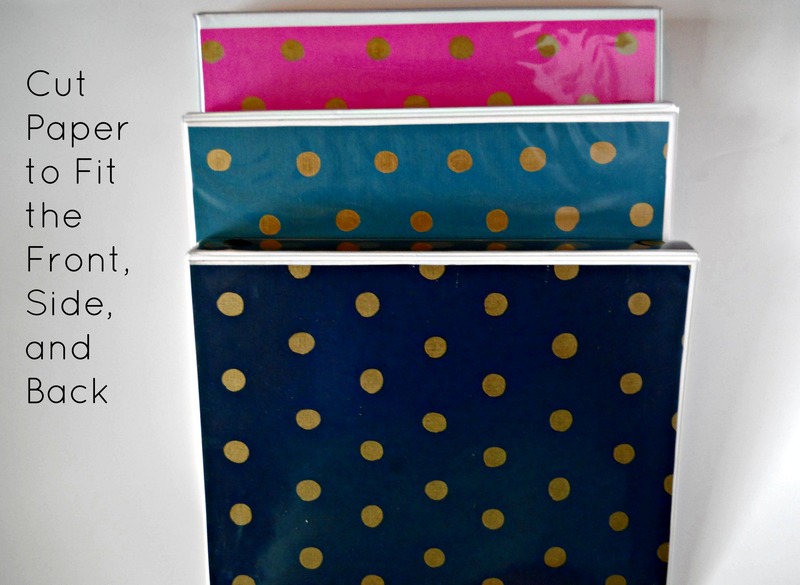 Polka-dot binders. All in all I spent less than $7.00 for 3 binders instead of $18.00. Love that! I’m thinking of cutting the leftover bits into strips and then adhering them to cardstock to make page dividers that match the binder. I’ll give an update if/when I get that project finished. 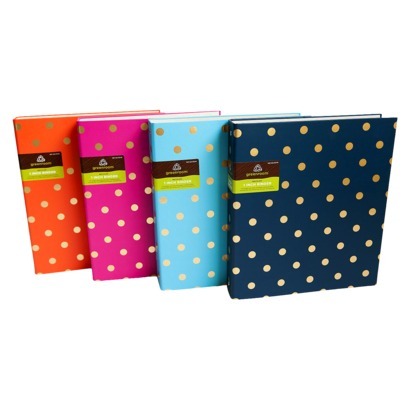 I wanted to buy the cute target binders as well but they don’t have it her in the UK. THanks so much for the DIY! I love how the dots are not perfect circles, I think they look better that way <3.